EOS - European Organisation of the Sawmill Industry | News - How can wood construction reduce environmental degradation? 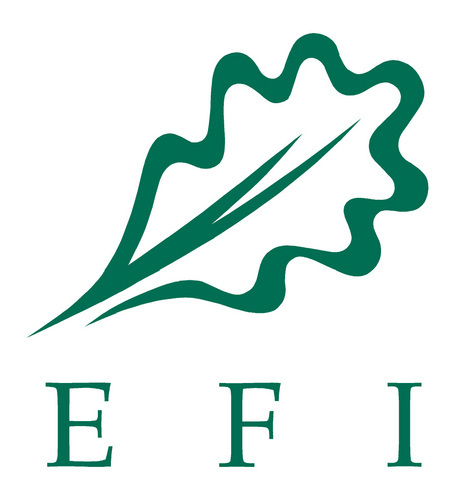 A newly published synthesis study by Dr Elias Hurmekoski (European Forest Institute, EFI) presents a short overview of the current state of the European construction sector and gives insight to the possibilities of wood construction. This study aims at providing a systematic overview with key facts and figures on how wood construction can contribute to improving the state of the environment. The idea is to paint the big picture in terms of how to relate the diverse, yet almost unanimously positive expectations for wood construction to the tangible environmental benefits that can be expected in light of the best available current knowledge, says Dr Hurmekoski. The European building construction sector has large economic and social significance and a major environmental impact. Looking at average figures in the 2000s, the overall annual construction volume in the EU27 totals around 0.24 billion square metres. Approximately 75% of all construction in Europe is residential . Each year, around 2 million housing units, or approximately 1 million flats and 0.9 million detached houses, are completed in the 19 largest European countries.A The construction sector accounts for around 10% of GDP and employs more than 12 million people in the EU3,4. The health impacts of buildings are also important, as people spend 90% of their time indoors. The construction industry is more risk-averse and fragmented than most other economic sectors . Established building practices are favoured over alternatives due to existing norms, institutions, infrastructure and expertise6. These characteristics can make businesses unwilling to accept new practices, which from their point of view potentially cause extra work and associated costs in the short-term . Partly for these reasons, the commercialisation of new products, processes or business models in this sector typically takes several decades. However, the sector has significant potential for cost-effectively reducing the environmental impact of the global economy. WOOD CONSTRUCTION: the environmental benefits • Wood construction refers to any form of construction in which the load-bearing structural frame is partly made from wood-based products. • Wood construction can reduce energy consumption and CO2 emissions from the manufacture of construction products, as well as reducing the overall material use and thereby the amount of waste. • For each ton of wood products used instead of ordinary Portland cement, an average of 2 tons of CO2 emissions are avoided due to substitution, i.e., avoiding larger emissions from the production of other materials, and the storage of carbon in wood products. • Due to the multiple times lower weight of wood compared to concrete, a wood-based structural frame can cut the total material consumption of construction by half. • A hypothetical 100% market share of wood construction would require a maximum of 400 million m3 of roundwood in the EU per annum, translating to 50% of the annual forest growth. With realistic assumptions, the impact of increased use of wood in construction on the demand for wood resources would be relatively small. Copy of the study is available at the EFI website.